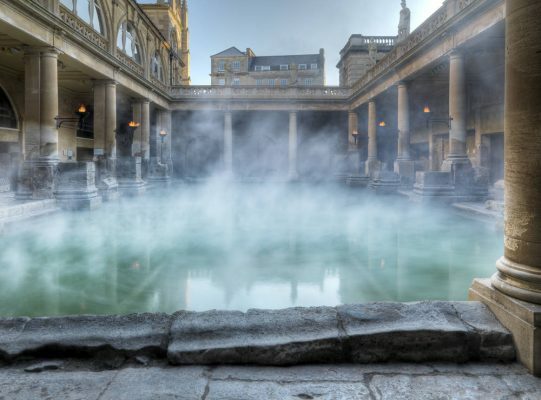 The Roman Baths is one of the largest tourist attractions in South West England. It is a place for the whole family to enjoy. Children of all ages can find out about life here in Roman times. The view from the famous Terrace is the first view you have as a visitor to the baths, but what you can see from here is less than a quarter of the site as a whole. The Roman Baths extends under the modern ground level, beneath adjacent streets and squares, so many visitors are surprised when they discover just how big the site really is. Costumed characters are in action around the Great Bath from 10am to 5pm during the peak season and every afternoon between 1.30pm and 4.30pm in the winter months. Please allow at least 2 hours to get the most from your visit. 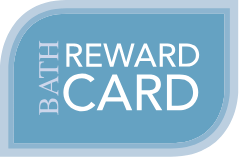 Save 10% when showing your Bath Reward Card. Children under 14 must be accompanied by an adult. Children 5 years and under are free. Hourly public guided tours, from The Great Bath, are included at no extra charge, subject to availability.